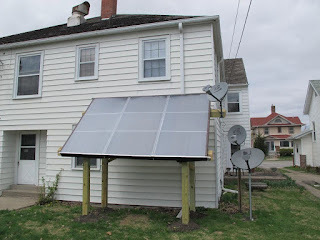 This is Micah's DIY solar water heating system for a seven unit apartment building in Iowa. Collectors solar preheat water for apartment building. The system is a drain back system similar to the $1K systems, but larger to accommodate the 7 units and with a few design changes to match the situation. 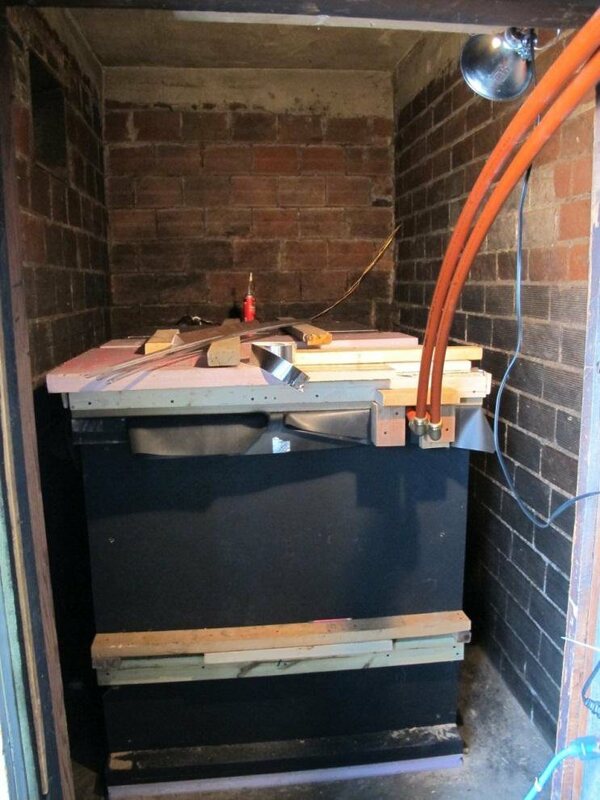 The solar heated water storage tank located inside the building's utility room right behind the collectors, which makes for nice direct plumbing. The collectors are glazed with twinwall. Note the very nice job of trimming and flashing the collector glazing. 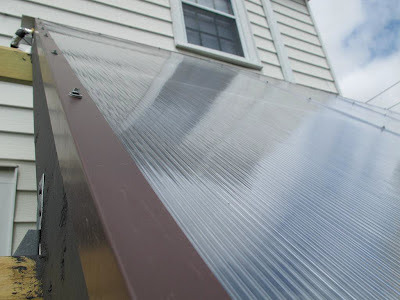 The tank is a non-pressurized combination drain back and solar heat storage tank that is constructed with OSB and lined with EPDM rubber membrane. Drain back and solar heat storage tank. Nice simple plumbing using PEX and SharkBite fittings. 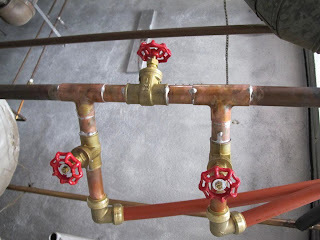 These are the valves that allow the solar water preheat to be bypassed if desired. 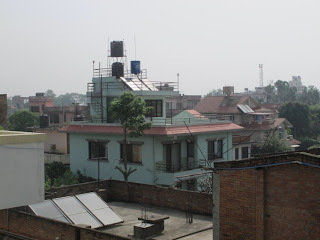 Micah's day job is in Nepal, and he has some interesting comments on solar in Nepal. 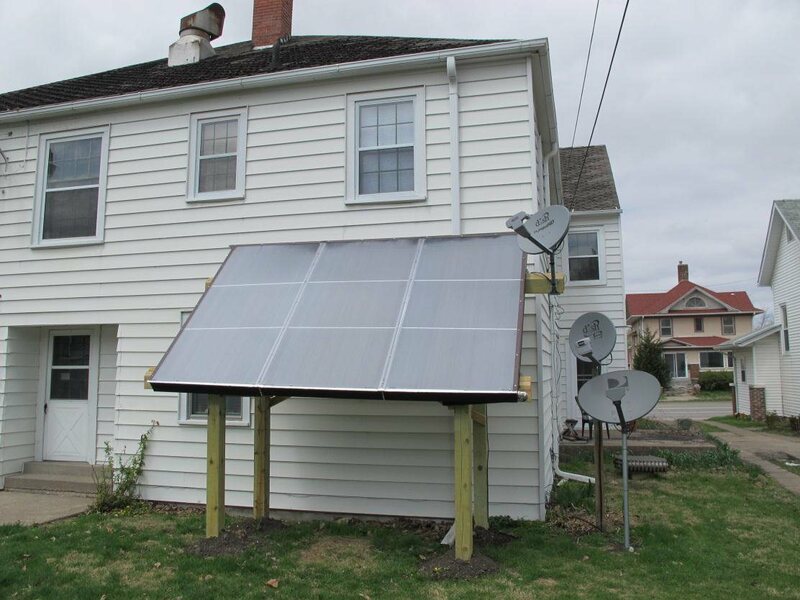 That looks really creative and commendable as well. Just had a query for how many hours can the heater last especially in winter or during the rainy season ? Thanks for your question and complement. Unfortunately, I haven't had a chance to monitor the system. It would be great if someone could recommend an affordable and easy to use data logging monitoring system to measure tank temperature over time. I'm also curious to know how much heat is stored in this system. The tank is almost double the recommended size. It's roughly 350 gallons for 90 sq ft of collector area.